Techbmc.com is about to start a monthly promotional Gifting to her members, readers and visitors from every country. >Google Products ( Adsense, Gmail, Maps, Blogging, YouTube, Hangout, Day dream Games etc). >Online Get Rich Tips (Business opportunities, Guides to Business, How to make your job lucrative, yielding much income). > Social media tips on (Skype, Facebook, Twitter, Telegram, Whatsapp, instagram etc). > Games (sports like PES, FTS, FMM, DLS, FIFA, WINNING ELEVEN, xbox and other Action games like GTA, Asphalt, etc). You may not want to miss our hot trending gist on area of technology and our promotional gift by cash wire transfer or by placing and promoting your companies or individual contents inform of adverts on our blog just for free. So we thought of getting all our fans together through the medium of our social media pages and groups below. Thanks For liking and following our pages and groups. You can now seat at home and get our post deliverd to your social media platforms and Emails. 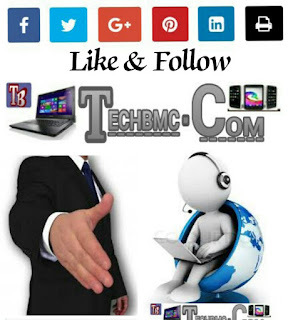 Note: Techbmc gifting is based on the highest comments and shares of our post from any individual in every month. Gifting will go for first 10 individuals with highest comments.